Have you ever been on an ecommerce website, glanced at a product page, and closed the window only to find an ad for that exact product on the next website you visited? Or maybe you’ve clicked on a link in an email about a dream vacation and then opened Facebook, where an airfare deal to your dream vacation locale was staring right at you? Was it a cosmic sign that you should buy that product or take that vacation, or maybe something else? Whether you’ve been impressed with this marketing savvy, been slightly put off, or even scared, these examples are becoming more and more familiar by the day. They are retargeting at work. Behavioral retargeting—most commonly referred to simply as “retargeting”—is the positioning of online ads based on a user’s previous internet actions. Ad exchanges facilitate the purchasing of advertisements across networks of websites, enabling potential customers to close GiftedLiving.com, for example, and then discover ads for Gifted Living products on the sidebar of a favorite blog. While the websites are not directly connected, the ad network can display the most relevant advertisements depending on the user. What are the different types of retargeting? Site retargeting is normally what one thinks of when thinking of behavioral retargeting. This occurs when a visit to a website sets a cookie in the user’s browser, enabling that user to be targeted elsewhere on the web with specific advertisements. Social media retargeting is site retargeting, but specifically with ads on social media networks, such as Facebook or Twitter. Search retargeting works in the same way, except that it is based on past website searches rather than past website visit behavior. Link retargeting occurs when marketers create content, which they share with a specific link (either on social media, via email newsletters, within a website, or any other web channel). This link sends users to their expected destination but with a pass-through that enables cookies to track user behavior for future retargeting efforts. Email retargeting occurs when emails are automatically sent to a user after they visit and leave a website without making a purchase. Contextual retargeting allows a business to engage prospects while still on a brand website. If a user’s behavior seems to create a pattern of their interests, ads within the website can adjust exactly to these interests, displaying products or sales most relevant to that specific user. Remarketing lists for search ads are a newer form of retargeting, which enables specific text ads to appear when someone searches via a search engine. If the search is relevant to a past product or service viewed online, the appropriate text ads will appear. This is a newer form of retargeting, largely run through Google Adwords. Note, this is not a complete list of retargeting types. New marketing tactics change too often to include them all. Why do marketers utilize retargeting? Retargeting, if done well, is not simply a form of online stalking. Research from the Monetate Ecommerce Quarterly shows that only 4.43% of views to ecommerce product pages convert to a sale on a PC, and this lowers to 3.75% on tablets and 1.53% on mobile devices. Retargeting is designed as a friendly reminder about something you have already expressed an interest in. It’s lead nurturing in a digital form. Marketers are getting savvy. They’re utilizing Google Analytics to examine bounce rates and click-throughs to the shopping cart. Retargeting allows them another opportunity for the sale. 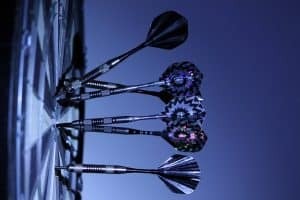 Yes, retargeting is sometimes done badly—perhaps with excessive frequency or poor targeting—however, many campaigns are become more and more data-driven. Distinctions are being made between people who have looked at a product and bought it versus those who looked but didn’t make the purchase. Frequency capping tactics are being put into place so that an ad doesn’t appear to a user so frequently that it actually has a negative effect on the brand. Are there privacy concerns with what information is being tracked? Contrary to your initial hesitancies, privacy isn’t a concern with behavioral retargeting. 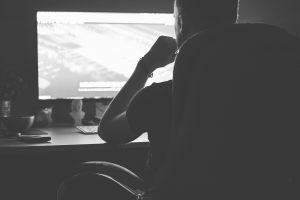 No webcams are being turned on without your knowledge; no emails are being read and analyzed; no recording of your entire surfing history is taking place. Web cookies can track a lot, but they do not spy on everything you do online. Remember, cookies are small pieces of stored data, which are designed for specific functions on specific websites. Not everything is being stored by them. It may appear that you are being followed when ads appear for products you’ve recently searched for on unrelated sites; however, there’s a backend connection at work on such occasions. Cookies can allow targeted ads based on the websites you’ve visited, but they are only discovering the underlying code of sites pre-designed for such a connection. Data is a powerful piece of today’s internet equation. The more marketers know about you and your web browsing history, the more they are able to customize your online experience, putting exactly what they think you want in front of your eyes. So now you know. Next time that dream vacation seems to be chasing you around the web, you know it isn’t a mystical sign that you should go. But, of course, you can always go ahead and go anyway. Someone went through a lot of effort to show you that deal.